Do Pineapples Help With Bloating? Bloating is a symptom of indigestion, often accompanied by burping and, in some cases, a queasy feeling. 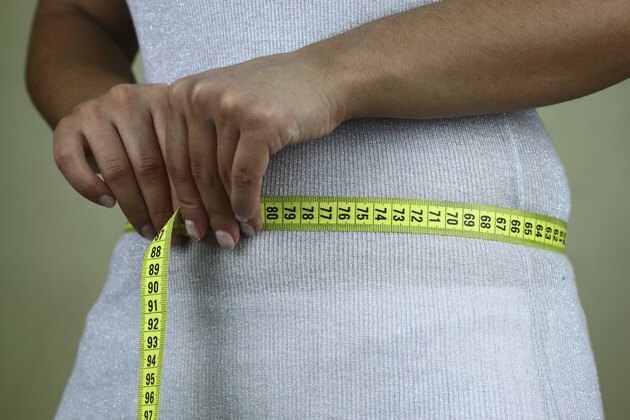 The medical term for the condition is “dyspepsia,” and it’s most often related to what you eat and how much you eat, but it may also be the result of swallowing air or a medical disorder. 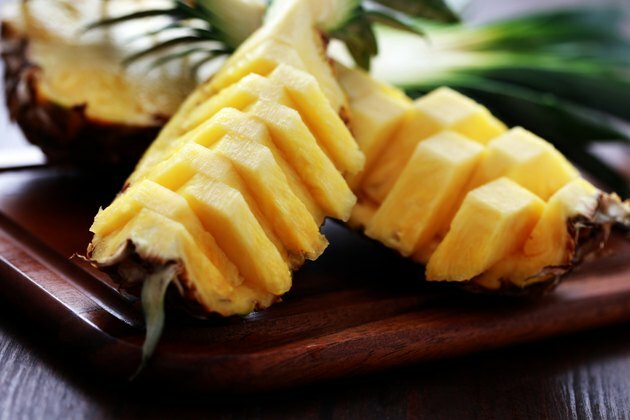 Pineapples, a sweet, fibrous fruit, may offer some relief for bloating caused by indigestion, but if your symptoms persist or worsen, see your doctor to rule out an underlying disorder. 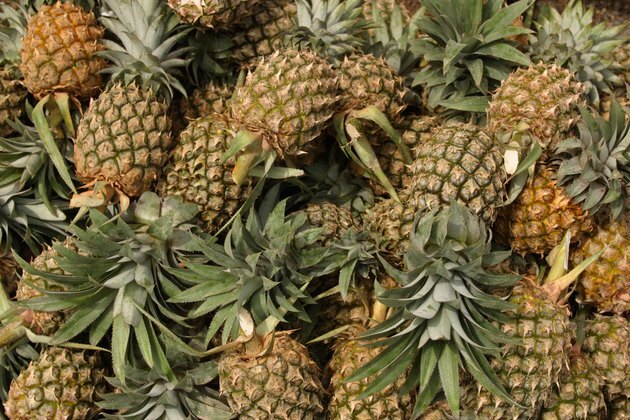 Bromelain, the enzyme in pineapple, is thought to assist in digestion by breaking down proteins in the stomach, according to the American Cancer Society. Studies confirming pineapple’s digestive benefits, however, are lacking. Pineapple is available fresh, canned, as a juice, or as bromelain in concentrated tablet form. 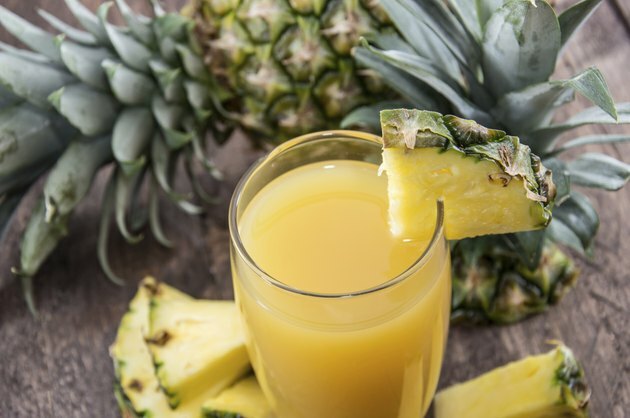 Enjoy a glass of pineapple juice with meals, or eat fresh or canned pineapple as dessert. When taking bromelain supplements, the PDR suggests taking 80 to 240 milligrams of raw bromelain per day, divided between meals. Do not exceed the suggested dosage, unless directed to do so by your doctor. Bromelain is “generally considered safe,” according to the American Cancer Society, but people who are allergic to papaya, latex or kiwi may also be allergic to pineapple and bromelain. Side effects include diarrhea and an upset stomach and increased bleeding during a woman’s menstrual cycle. 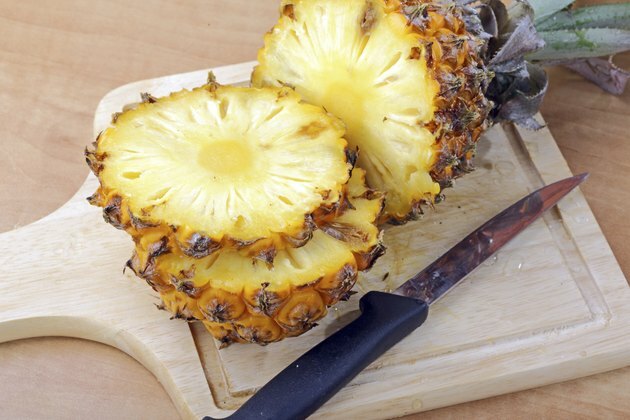 Pregnant women, breastfeeding mothers, people with hypertension, blood clotting disorders or kidney or liver disease should not take bromelain or eat pineapple in therapeutic dosages. PDR for Herbal Medicines, Second Edition; Joerg Gruenwald, Ph.D.
Are There Drugs That Interact With Eating Fresh Pineapple? Does Eating Too Much Papaya Cause Gas?